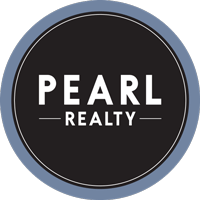 Robin Bundy is a buyer specialist with Pearl Realty. His can-do attitude and willingness to work hard are key attributes that make him a successful team member. He jumped into real estate after a long, 23-year-career in the restaurant business. He learned the restaurant ropes in the back of the house and then moved into serving and bar tending in the front of the house at neighborhood restaurants, including The Porch and Moontime. After graduating from Coeur d’Alene High School he took his time obtaining his political science degree from University of Idaho in 2006 because of his thirst to travel and explore the world. His love for North Idaho brought him home where Robin worked in the accounting field and then, most recently, transitioned into construction real estate and consumer lending at Mountain West Bank. Robin continually reached and surpassed his goals while working in the real estate construction department. Robin’s financial and customer service background prepared him to be a buyer specialist. He understands how overwhelming searching for a home can be while working full time and juggling a family. He’s excited to walk alongside each client and hopes to make the process of buying a home the absolute best it can be. In Robin's free time you can find him seeking out adventure on long distance trail races, half marathons and triathlons. He enjoys sampling the area’s best foods with his love, Simone, and playing soccer with their boys, Sander and Flynn.